For me personally, Samantha was one of the few ladies whom I actually enjoyed watching this past season. I’m going to miss her very much. Her retirement is the saddest news of the offseason for me. 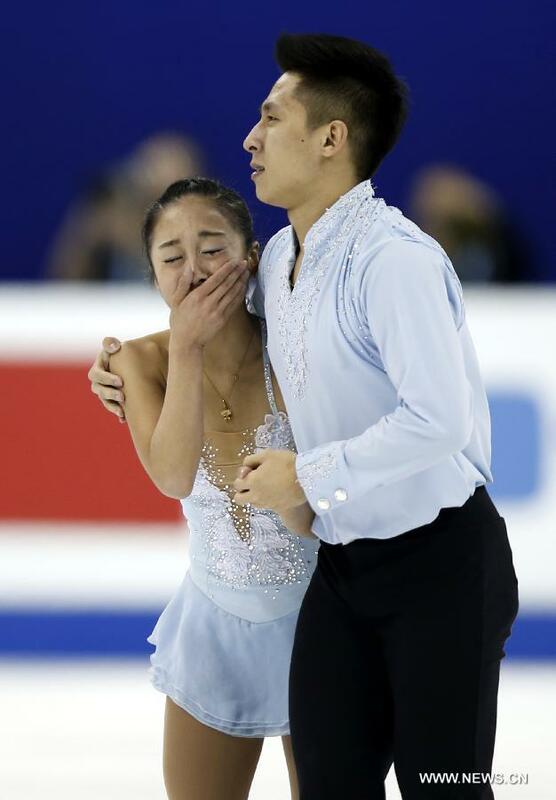 Since the announcement, I’ve been struggling to wrap my head around the question of why this talented skater was unable to reach the top competitively. How much of Samantha’s decision to retire was due to personal factors? And what, if anything, does the premature end of her career say about the current state of skating and IJS? Looking back, Samantha Cesario’s career was always a little different. She is close in age to fellow U.S. skaters Ashley Wagner, Mirai Nagasu, Caroline Zhang, and Christina Gao. But unlike them, Samantha never left home to train with a top-tier coach or other top-level competitors. She stayed with Mary Lynn Gelderman as her main coach for 13 years. And although she doubtless shared rink time with many talented skaters, Samantha never trained alongside a Yuna Kim or Evan Lysacek or Adam Rippon. Another difference: The other U.S. ladies I named have all competed at U.S. Nationals for at least the past 8 years straight. But, due in large part to injuries, Samantha competed in only 6 total U.S. Nationals. So, Samantha perhaps didn’t follow the typical track. However, when she did truly emerge as a senior lady at 2013 U.S. Nationals, she immediately made her presence felt. She landed 6 triples in her Black Swan LP that year and caught everyone’s attention with her elegant, dramatic skating. 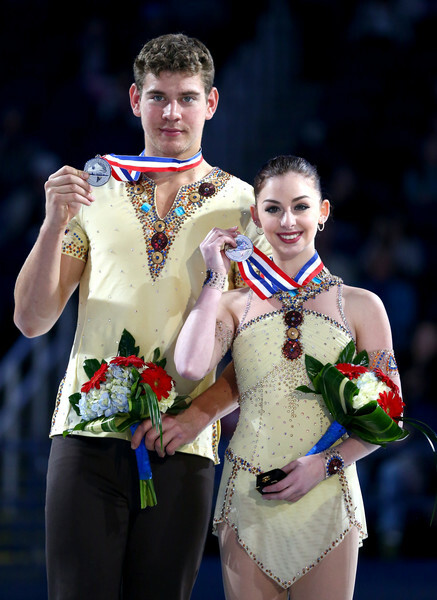 A month later at 2013 Junior Worlds, Samantha took first in the SP and looked set to win or medal. However, in a sign of things to come, she was hit with 5 underrotation/edge calls in the LP and dropped off the podium entirely. It’s interesting to listen to Nicky Slater’s British Eurosport commentary about Samantha’s Junior Worlds SP: “I love the little movement of the head, and all the hand movements, all those signatures that add to the overall program. Never any wasted moments,” said Slater. And, about her LP: “Absolutely fabulous, well done. Elegant, mature, strong, great height in the jumps, loads of power. Every moment was defined and definite in terms of the choreography and content.” To Slater, what stood out about Samantha was her ability to interpret music and present a beautiful performance. This is exactly what drew so many fans to Samantha. However, just 9 months later, Joanne Conway of British Eurosport had the following remarks on Samantha’s SP at 2013 Trophee Eric Bompard: “For me, she’ll suffer a little bit with the skating skills. A little bit weak, a little bit slow. I’d like to see her move across the ice with more edges, more knee bend. Maybe [the spins] could have been worked on a bit more.” These comments reflected a contrasting view of Samantha: That her skating was hampered by a lack of speed in footwork and spins. These dual views of Samantha’s skating continued to hold over the next 2 years. Among many fans, Samantha was a favorite because of her dynamic, artistically satisfying performances. But among judges, it was another story. As Samantha noted, her strong suits weren’t favored under IJS. What were Samantha’s strong suits? Artistry and jump consistency. Samantha’s skating was polished and sophisticated and expressive. She knew how to interpret music and hit the highlights of a program. She paid attention to the details—hand movements, head placement, extensions, straight back—and everything was in place in her skating. If you look at photographs of her, she’s almost always in an attractive, nicely extended position. Her programs were never less than entertaining to watch. And, best of all, she had her own distinctive look: Dramatic, strong, flirtatious, sultry. Samantha didn’t do lyrical or princessy. She was all about fiery attitude and flamboyant expression. Often skating to Latin music, she had a clearly defined–and clearly mature—style on the ice. This put her in strong contrast to some of her coltish competitors (especially this past season). Samantha skated to Carmen for 4 years, using the music twice as an SP and twice as an LP. It’s almost unheard-of to use a single piece of music for so long, but Samantha not only kept it interesting but actually made Carmen her signature program. How many other competitive ladies these days have anything close to a signature program that fans actually remember, talk about, and look forward to? Yet Samantha received little credit for the quality of her presentation. Reviewing her PCS scores at three international events this season (Skate America, TEB, 4CCs), you can see the international judges placed her in their “second-tier” PCS corridor: 25-28 in SP, 50-57 in LP. Samantha was in this range with skaters such as Rika Hongo, Mirai Nigasu, Haruka Imai, Courtney Hicks, Mae-Berenice Meite, Maria Artemieva, Alaine Chartrand, and Gabrielle Daleman. Her PCS tended to be in the middle to top of the range, but not by a wide margin. For example, in the 2015 4CCs SP, she had less than .40 PCS advantage over Canadian skaters Gabrielle Daleman and Alaine Chartrand (neither yet noted for their polish or artistry). Samantha also received lower PCS there than Rika Hongo, a skater known primarily for her triple/triples and poor posture. The general opinion was Samantha got relatively low PCS because she lacked speed: This was considered her Achilles’ heel. However, as FSU member @plusdinfo noted on the FSU forum, Samantha was strong in 4 of the 5 categories PCS is supposed to be marked on: Transitions, Performance/Execution, Choreography, and Interpretation. Yet she received little bonus. Through her scores, the judges seemed to indicate that slower relative speed was a bigger problem than bad posture, inability to express the music, uninspired choreography, and/or poor positions/extensions. Is this something the majority of figure skating audiences would agree with? I’m not so sure. As strong as she was artistically, Samantha was also a very consistent jumper. In her final competitive season this year, she landed an average of 6.8 triples per LP. She did not fall once the whole season, and rarely popped, stumbled, or put a hand down. In contrast, Gracie Gold averaged 5.14 triples landed and .5 falls in her LPs, had numerous minor jump errors, and popped a total of 4 jumps in her 4CCs LP. But although Samantha was consistent with her jumps, her technique was flawed, resulting in underrotation calls and an edge call on her Lutz. These errors cost her heavily on judges’ score sheets. Even when she landed a jump, she often lost 2 to 3 points in potential base value. For example, in her 4CCs SP this year, she underrotated her triple flip and got only 3.27 points (just 56% of the planned base value 5.83). Are we happy with a scoring system in which a skater loses almost half the value of a jump because it was landed a quarter-turn early (if that)? Spins were another issue. Samantha always had beautiful spin positions, but since her rotations weren’t the fastest, her spin levels (and scores) fluctuated. Samantha’s spins were negatively affected by the other big challenge in her career: Health problems. The stars seemed to align against her in this area. In 2010-2011, she suffered a serious back problem; in 2011-2012, she tore a knee ligament. 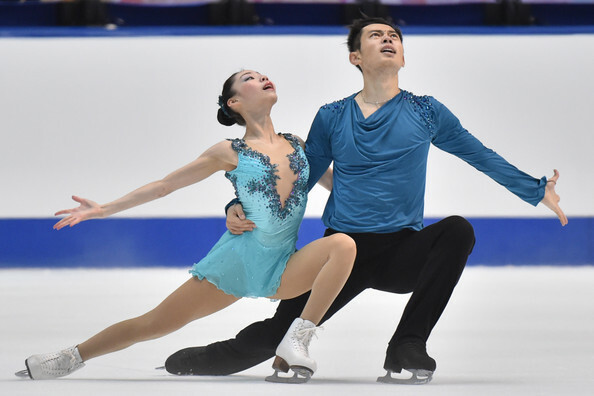 She missed U.S. Nationals for 2 straight years–a major setback for a skater in the U.S., where so much rides on Nationals results. She also dealt with pronation of the knees, an ankle injury, and mononucleosis. The fact that Samantha was able to forge on despite all these problems says everything about her character. In spite of the injuries, she continued to train and put out her best in every single program. I never saw Samantha give up on a program–ever. Even if it wasn’t going well, she always kept the performance quality up and kept trying on every single jump. I admire that so much about her. She had tremendous will and tenacity. I’ve seen few other skaters put out as many 6- and 7-triple programs as Samantha did in her career to such little reward. But although Samantha kept fighting through all the injuries, no doubt they affected her career and held her back from accomplishing more. At a minimum, she lost significant practice time and competitive experience. There’s no way of knowing how her career might have developed if she hadn’t had so many health problems. Would she have moved to another coach/training center? Would she have been able to skate faster or rotate spins faster if she hadn’t had lingering effects from the injuries? Would she have skated better this season if she hadn’t suffered a two-month bout of mono? There’s no way to tell. My guess is that Samantha’s retirement is in large part due to her health problems. You can only continue training in pain for so long. 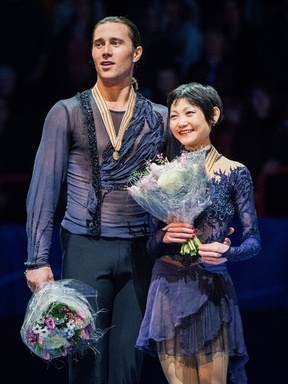 But, as she made clear, the current state of figure skating and its judging system also played a significant role in her decision. Some people’s response to this is that Samantha should have simply fixed her underrotation/speed problems, and then she’d have had nothing to worry about. I guess my thoughts go in another direction. I question if we really want a judging system that has no place and no reward for such a talented, beautiful skater. In the end, I doubt Samantha Cesario has any regrets. Her path in skating wasn’t easy or typical; it was always a little different. But she did it her way, on her terms, as much as her body would allow. And her decision to retire is, again, her own. Many skaters in recent years have found it difficult to take that final step. But Samantha decided the moment had come and made the tough call to walk away from 15 years of skating and start a new life. As usual, I’m left feeling admiration for the courage of this strong-willed, clear-eyed young woman. I’m going to miss her. A lot. On Sunday, I took my 5-year-old, very active twin girls to their first ice show! It was Colonial Figure Skating Club’s 2015 club show: “Ice Crystals: Spiraling Through Time.” I can’t do a real review of the show, because truthfully, I only had one eye on it most of the time. (My other eye was on the twins.) But I’ll just give a few brief notes/impressions from the show. Colonial FSC is one of the better-known clubs in the Northeast. They will be hosting 2016 New England Regionals at their three-rink facility. This year’s annual Ice Crystals show was directed by 1980 Olympian Sheryl Franks, who coaches at the club. The show was well produced, running smoothly from one number to the next. One of the highlights was a fun group number to “Grease,” which featured probably 50 club members performing to different cuts of the music. There was also a fun & funky disco group number. Many club members performed solo programs. The first performer in Sunday’s show was Juvenile lady Sophia Tsintsadze. Sophia is so tiny, but she already has some impressive skills, including a great Russian split jump! Not only that, but she skated fearlessly and really sparkled in her program, not looking nervous at all in front of the crowd. Definitely one to watch. Another standout Juvenile lady was Sydney Cooke. She had nice energy and skating skills in her program. 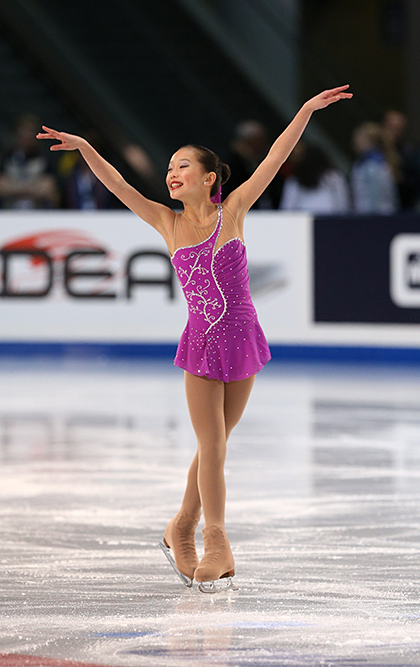 Iris Zhao, the 2014 Juvenile ladies U.S. champion, also performed. Iris appears to have had a growth spurt since her 2014 win and is looking quite grown-up. She skated a very nice number to “You Must Love Me” from Evita. I didn’t notice her landing any jumps in the performance, but I was impressed by her graceful flow and her lovely positions in spins/transitions. She has a very nice look on the ice. Her costume was also beautiful—a simple gossamer white dress with long flowing sleeves. 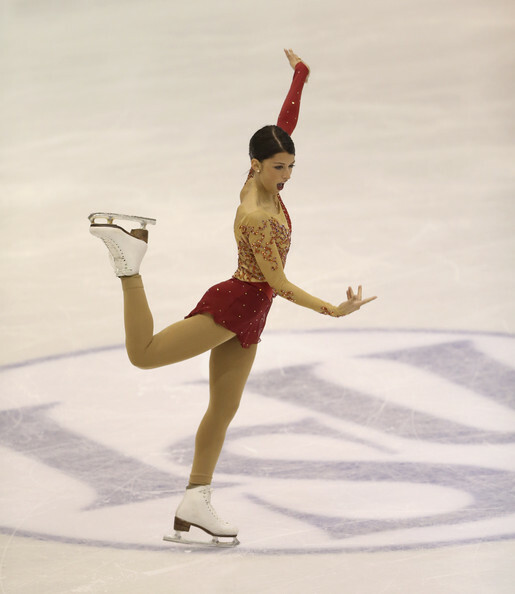 Next to skate was Kassandra Carpentier, the reigning 2015 Intermediate ladies U.S. champion. Kassie put out a nice performance that included a triple Salchow and double Axel. She will move up to Novice level for this coming season. Samantha Cesario was the special guest skater at the show. She did a fun number to Taylor Swift’s “Blank Space.” Samantha skated with good energy, showing her trademark interesting transitional moves and attention to detail. Included was a spread-eagle sequence and a triple flip (two-footed). Often criticized for a lack of speed, I thought Samantha’s speed on the ice looked good in this performance. Although not at the level of Courtney Hicks (whom I saw last week), Samantha certainly didn’t look slow at all and was most enjoyable to watch. My only complaint is I would have liked to see a second number from Samantha.